Limited edition of the album, released in an O-card outer sleeve, in which sits a tri-fold sleeve with openings on each end to slip the CDs in. 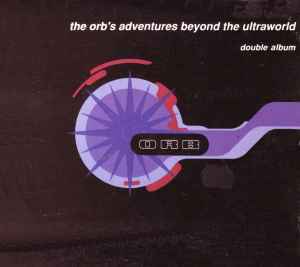 The Orb's Adventures Beyond The Ultraworld has code PG 900, and both discs are white. The Orb's Adventures Beyond The Ultraworld has cat# BLR CD 5 on the O-card, and the discs have a Mayking matrix instead of Nimbus. 1-1: Recorded at Do Not Erase, London. Programmed at the Coach house, London. 2-5: Recorded live at Trancentral, London. Programmed in inner space. The copyright in these sound recordings is owned by Wau! Mr Modo, Big Life Records are the exclusive licensees for the world.